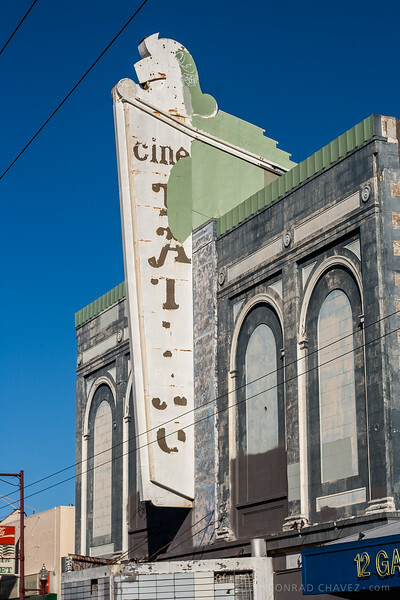 On a visit to San Francisco's Mission District, I was surprised to find a large number of decaying theater marquees, the only sign that movie theaters once existed under those marquees but are now long gone. 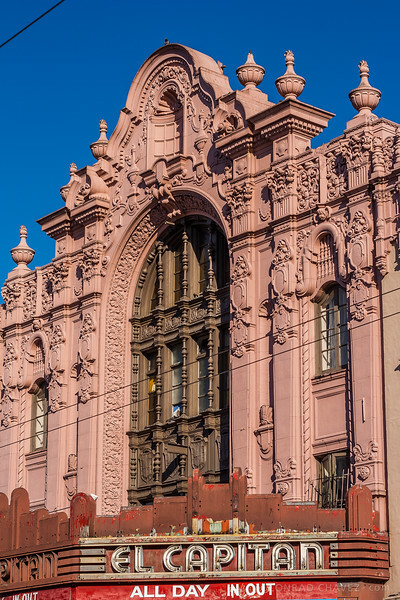 Built during the movie boom of the early 20th century, these theaters fell into disrepair as television, multiplexes, and then home video shrank the number of people who went out to see a movie each week. Their tall marquees and upper stories are a layer from another time, distant and detached from the businesses that now occupy and surround the former theater buildings. Imagine what Mission Street must have looked like in the mid-20th century, when on weekend nights every cinema marquee on this long street would have been blazing with light to attract their share of the moviegoing crowds. 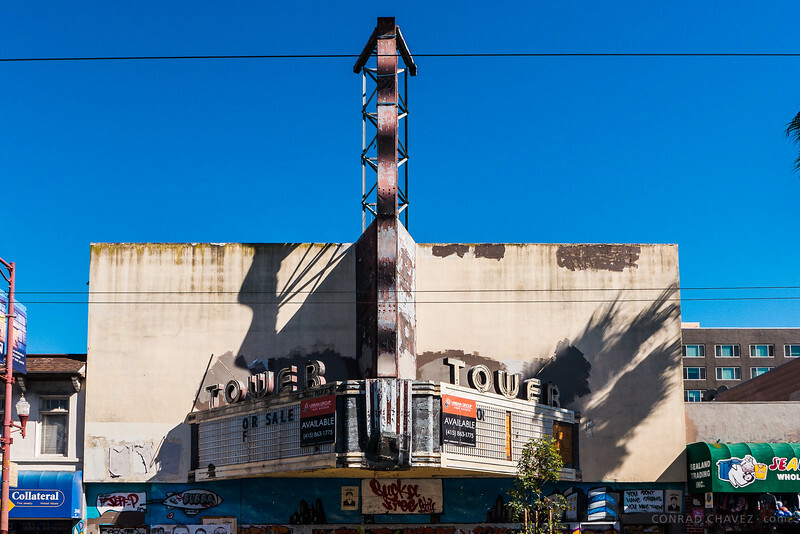 I first photographed these marquees in 2006, and when I returned to the Mission district in 2014 I updated some of the photos. While some of the buildings have fallen into even further disrepair, others are being revived or restored. You can find historical information for some of these theaters at cinematreasures.org. 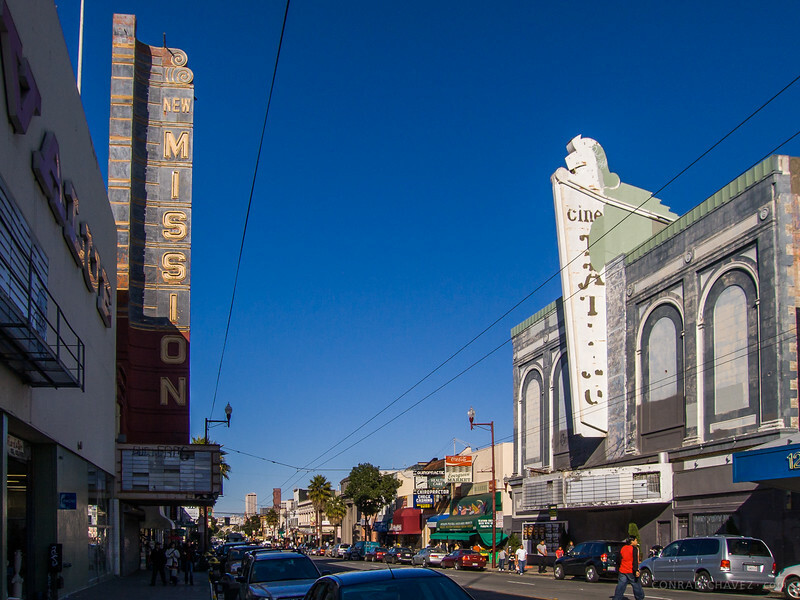 2006: The New Mission and Cine Latino theaters on Mission Street. 2006: Marquee of the New Mission Theater, built in 1916. When I took this photo, the theater had been closed for years. Apparently it last served as a furniture store. 2014: Alamo Drafthouse will reopen the historic New Mission as a fully updated, digital HD theater, "...combining dinner, drinks, films and events, all under one roof" modeled after the Alamo Ritz in Austin, Texas. Alamo will restore the ornate interior of the main auditorium. The new condominiums going up next door are part of the project. 2006: Marquee of the Cine Latino. It was built as the Wigwam Theatre in 1913, later called the New Rialto Theatre and then the Crown Theatre. 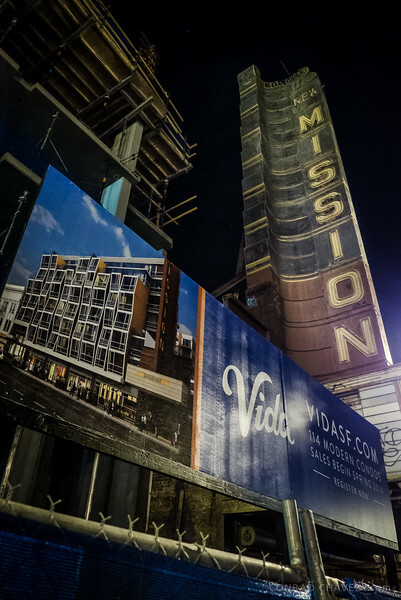 It was across the street from the New Mission Theater, but in 2014 the entire façade was gone, and the building stripped down to its frame. 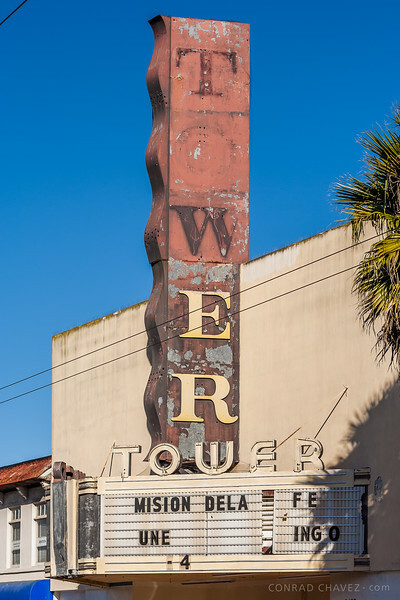 2006: Marquee of the Tower Theater, which opened as the Majestic Theater in 1912. 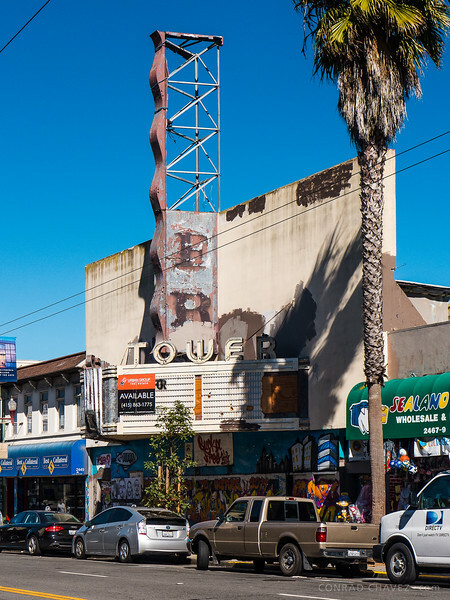 October 2014: Significant parts of the Tower marquee were missing, and the building is still vacant. 2006: The marquee of the Grand Theater. It opened in 1940 but was a Chinese import store when I took this photograph. 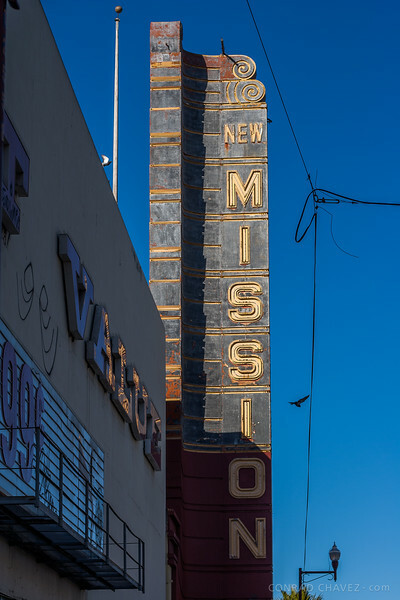 The New Mission Theater marquee is visible down the street. 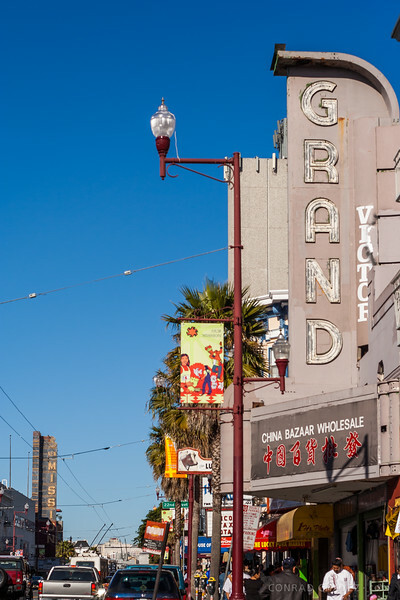 2014: The freshened-up marquee of the Grand. 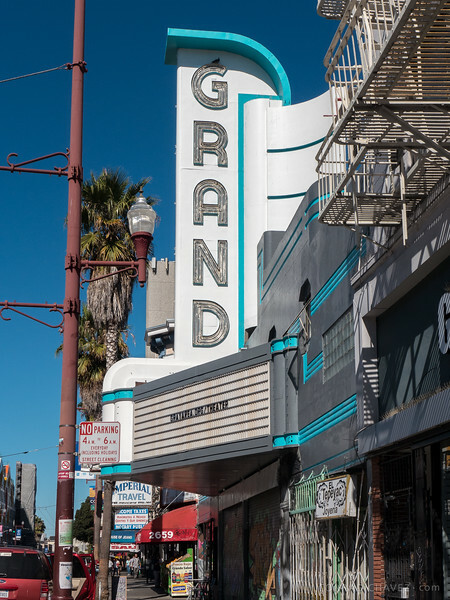 The Gray Area arts organization (grayarea.org/theater) signed a ten-year lease to operate the Grand as an “art and technology theater.” In the background, the New Mission marquee is wrapped during restoration. 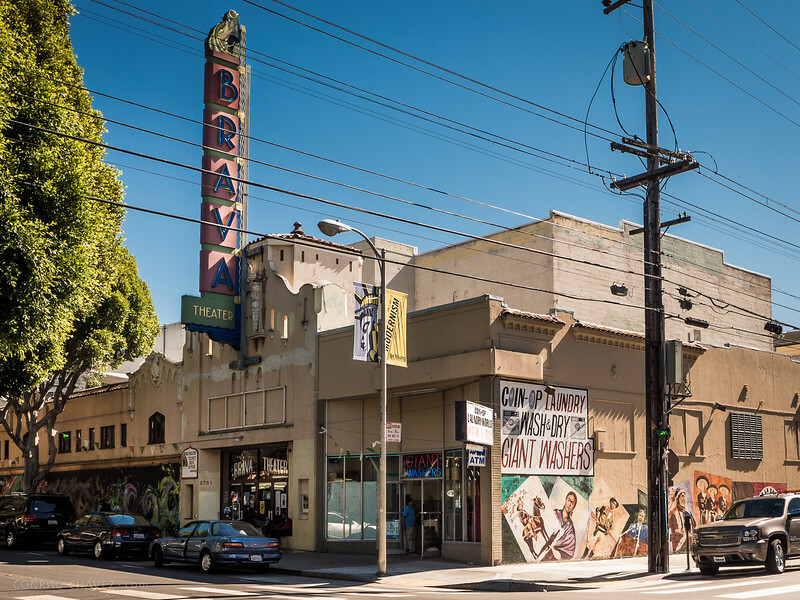 2014: The Brava Theater on 24th Street, which opened as the Roosevelt Theatre in 1924 and later was the York Theatre. It is now the Brava Theater Center (brava.org), owned and operated by Brava for Women in the Arts. 2006: El Capitan Theatre, built in 1928. It was gutted in 1964 and behind the façade is now a parking lot. By 2014 the façade had been painted an unappealing dark olive color. 2006: Unknown marquee at 18th and Mission. 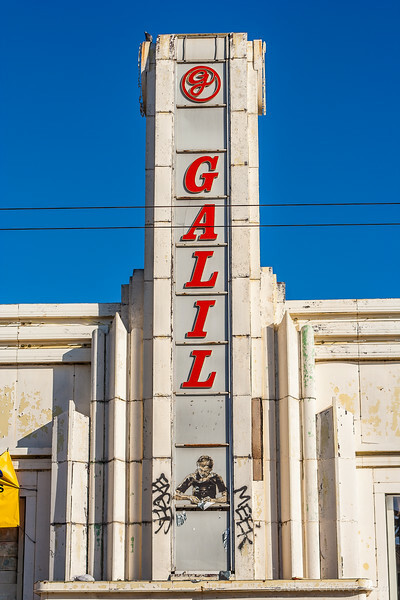 It may never have been a theater, but I like the vaguely art deco style of the faded building. 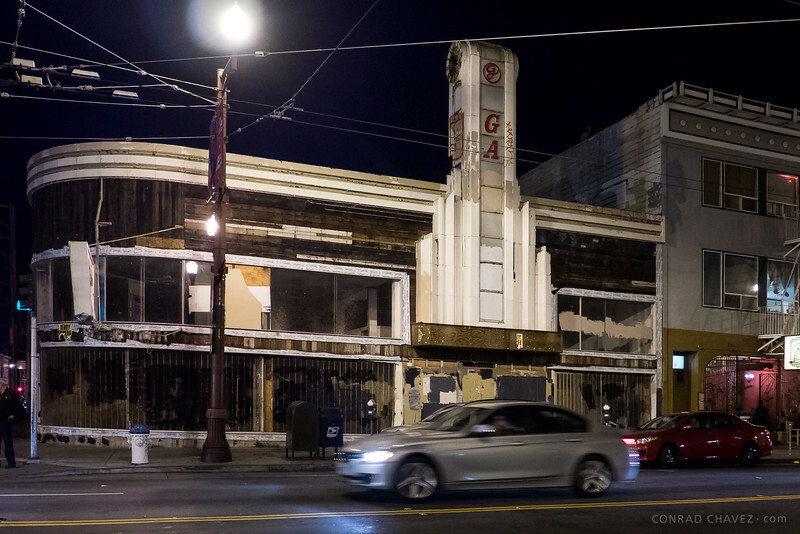 2014: Unknown marquee at 18th and Mission. Much of the previously white façade has been removed, and during the day the main doorway was open and there was some kind of demolition work going on inside. But the building might be on the way to an update, because new windows appear to be installed. 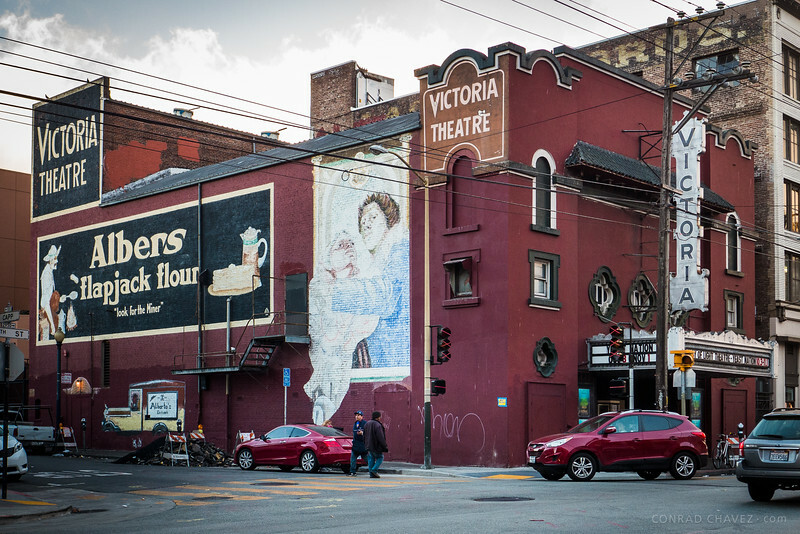 2014: The Victoria Theatre (victoriatheatre.org) on 16th Street calls itself "the oldest operating theater in San Francisco."